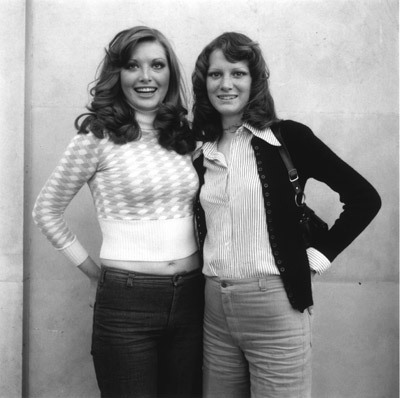 I just love the idea that Richard Avedon was inspired by Daniel Meadows Free Photographic Omnibus portraits when he cranked up the subjects for his American West Series, taking the original free-in-every-way portraits and overcooking, overspicing and overinflating them for the American market. Of his own portraits, Meadows says, "Running the free portrait sessions was a discipline. It was a Quaker thing and also something I got from my Dad, I suppose. Duty. I had been brought up to be true to my word. It was a contract, plain and simple." On a good day, I would get 60 or 70 people through the Free Studio, and because I had no film to waste I would try and photograph them all on just three rolls of medium format film. Twelve frames to a roll, two people per frame, 24 people per roll, give or take." Perhaps that simplicity comes across in the portraits which are as relaxed and revealing as you like. 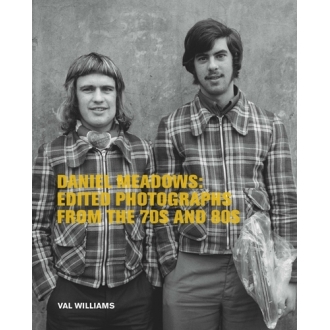 More of Daniel Meadows, Free Photography and the development of photography in 1970s Britain can be found in Daniel Meadows: Edited Photographs from the 70s and 80s; a fabulous book with a great text and wonderful, wonderful pictures.